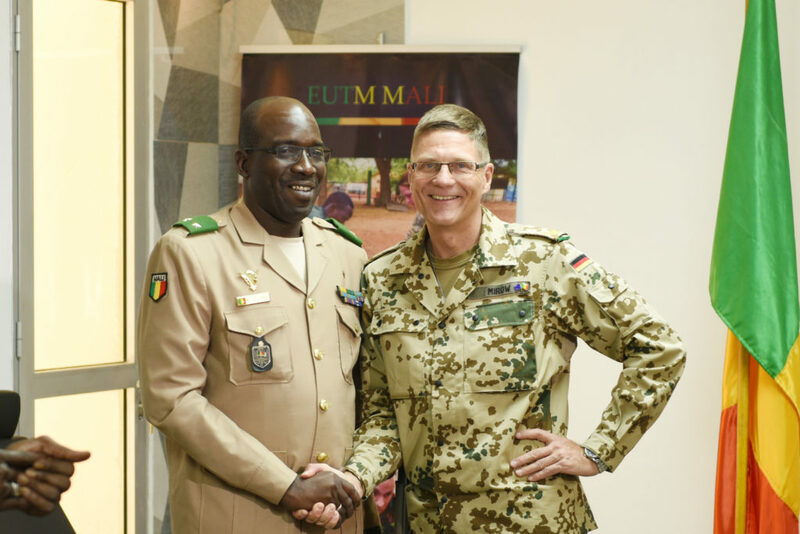 The Mission Force Commander of the EUTM Mali, Brigadier-General Mirow, handed over to General Coulibaly, Deputy Chief of the General Staff of the Malian Armed Forces, new doctrine manuals, a tangible sign of the excellent cooperation between the two organisations. 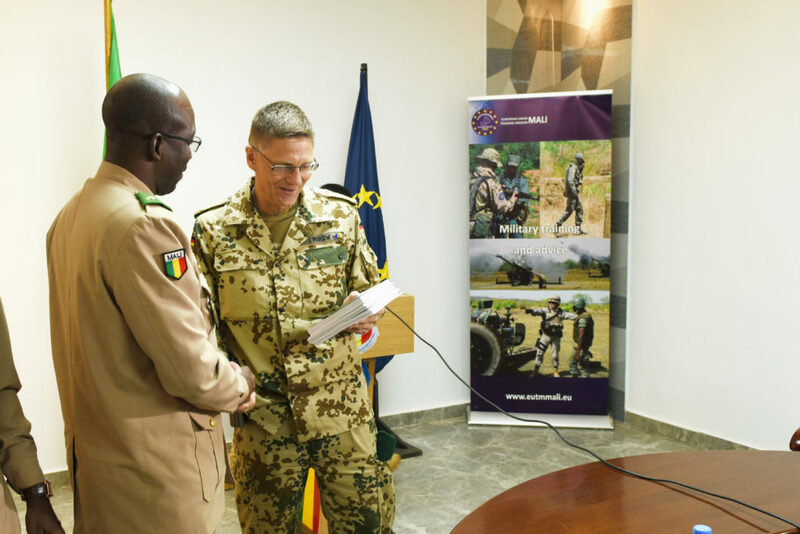 Since the Joint Doctrine Centre (JDC) was established in January 2016, significant work has been carried out in collaboration with EUTM to contribute to the development and promulgation of doctrines and manuals adapted to Malian requirements. 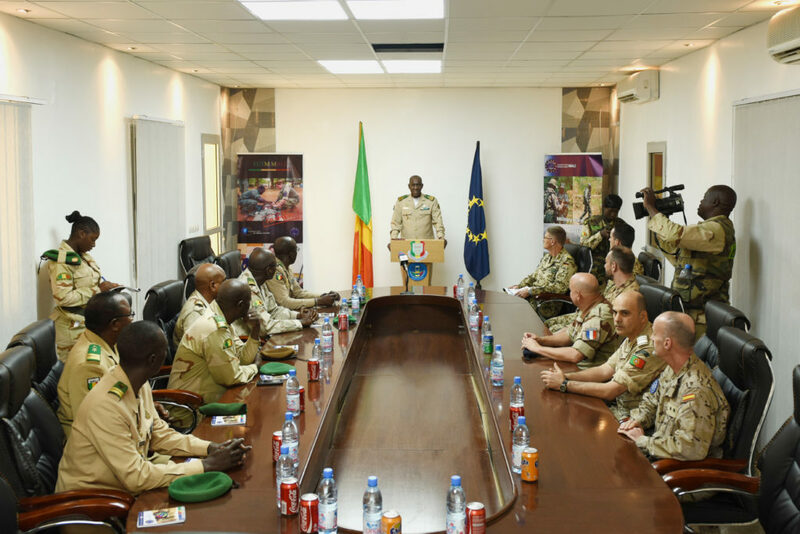 The mission of the Joint Doctrine Centre is clear: it is to “harmonise the principles and rules governing the behaviour of forces while setting the framework, standards and procedures for optimising their operational performance. It also encourages, shapes and values feedback and evaluation. 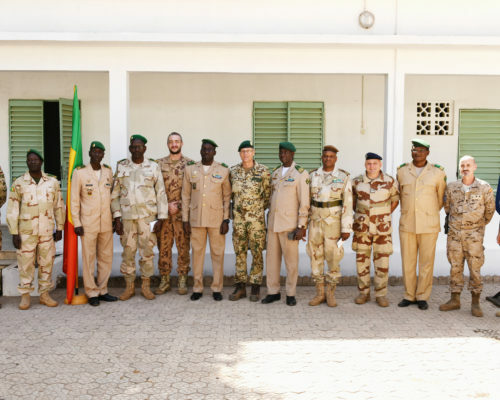 Within EUTM Mali, the Advisory Task Force (ATF) Doctrine Cell has been in charge of this task. 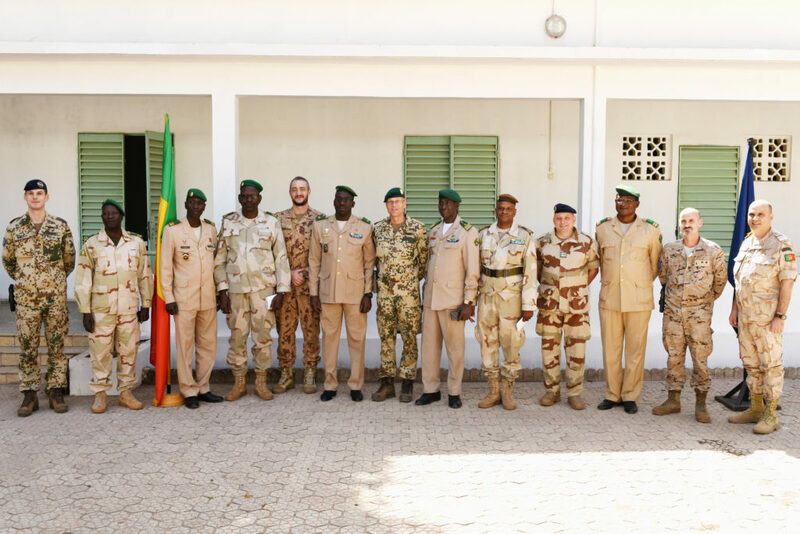 It works on a daily basis with the JDC, the Malian military headquarters and directorates in order to produce coherent and high-quality documents. Today, this official handover marks the end of a process successfully completed with determination. 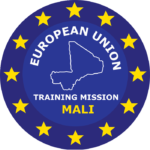 3250 new manuals are being delivered thanks to shared efforts and financial contribution from Luxembourg. 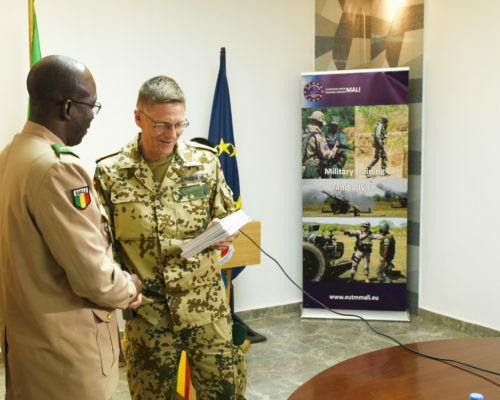 These documents will soon be distributed and will be used for training and education of the Malian Armed Forces (MaAF). 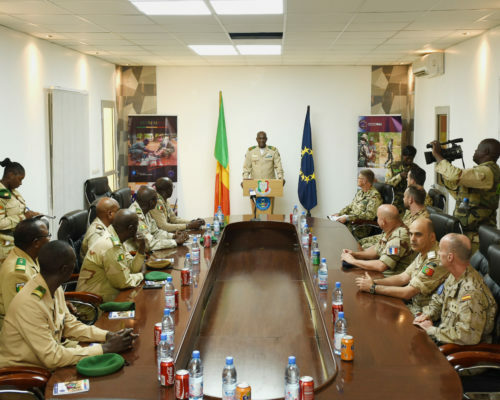 – Air Commando Fusiliers doctrine. Work will focus, from now on, on developing and producing new doctrine. 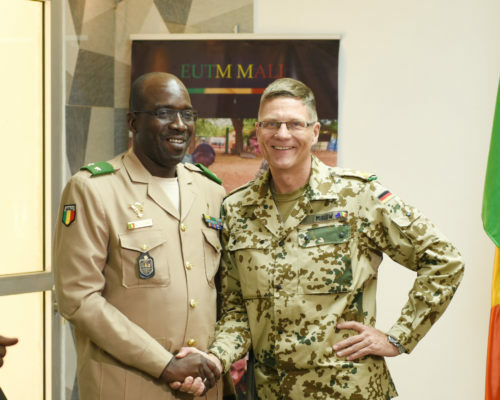 The close cooperation between EUTM and JDC will therefore continue and guarantee the success of future development in this essential domain.